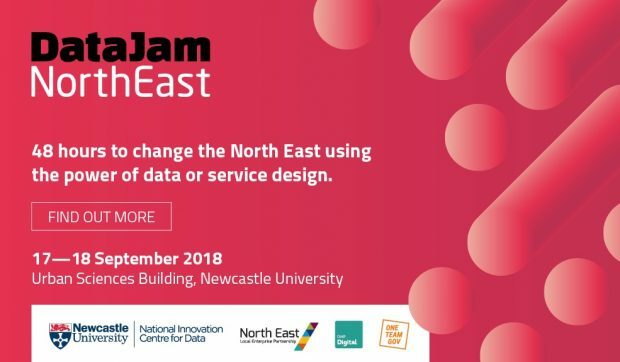 DataJam North East is coming to Newcastle on 17th and 18th September 2018 in conjunction with Newcastle University, North East Local Enterprise Partnership, DWP Digital, local authorities in the region and One Team Gov. DWP Digital’s Celine McLoughlin and Ryan Dunn are part of the organising team for the event. In this blog post they share their story of why they wanted to get involved. We’re really excited about DataJam North East. 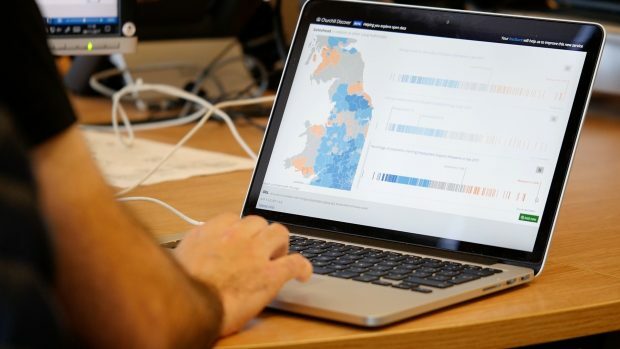 It’s a two-day event which aims to look at issues affecting the north east region through the lens of data and service design, to see what answers to real problems we can come up with. We’re both from the north east, we both work in the north east and we’re bringing up young families here so we are incredibly passionate about both the region and about making a difference. 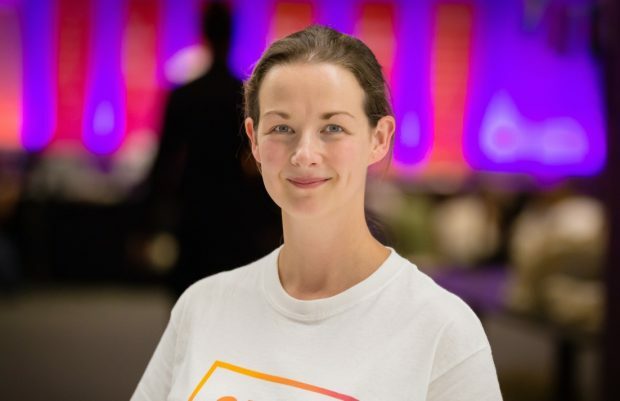 We both also believe that collaborating to bring data and service design together is really important to achieve outcomes – and that’s at the heart of what DataJam North East is all about. We’ve been following the One Team Government (OneTeamGov) movement since it started in June 2017. OneTeamGov aims to improve public services and change the way we work through practical action. We were really inspired by the principles OneTeamGov embodies and wanted to bring this to life in the north east. From working in different teams in DWP Digital we came together on Twitter with a shared idea to set up our own take on OneTeamGov in the region. Within agile teams we are seeing more organisations embracing multi-disciplinary teams as the right way to work and this is wonderful to be a part of. Data in the form of qualitative user research, business analysis and performance analysis is now central to how product teams are designing and prioritising their feature development but data science, for the most part, is still seen as something a little separate and complex. 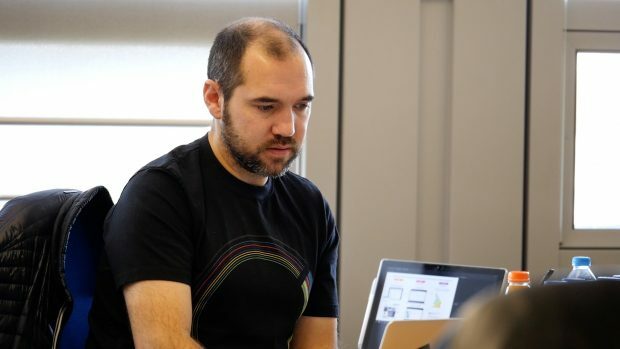 We firmly believe that by making data an integral part of product development in the same way as user research is, for example, will help us to make better decisions about the design and implementation of our products. Critically, it will also help us to fully understand the problems we’re working on before we begin, making sure we are prioritising the areas where we can achieve real outcomes. Of course getting everyone in the same room is only part of the challenge. Across the public sector organisations have built up data over a number of years in vastly different ways and no single organisation holds all the data to truly understand the complex issues affecting people and society. It’s not always easy to share data across organisations and privacy and security considerations can often make this harder still, without even mentioning commercial and financial constraints! This means that the only way we can tackle these truly important issues therefore is do it together. That’s why DataJam North East is a true collaboration of people and organisations from across the region. Newcastle University, the North East Local Enterprise Partnership, Local Authorities, NHS and a number of small businesses are all involved with us in helping to create and shape the event. At the event we will have product teams working on real issues which are impacting the lives of people in the north east across the three key themes of Health, Skills, and Child Attainment. We will also have innovation areas for participants to access open data from the Urban Observatory based at the University to understand what it is possible to learn from data exploration. Alongside all of this there will be a mix of unconference sessions (for which participants will pitch their ideas at the start of each day), breakout sessions offering practical data and design ideas and stalls to visit. For each of the three critical areas we want to come away from the two days with tangible outcomes that all of the participants can sign up to taking forward. We want this to be the start of a new way of integrating data and design, the start of more collaborative sharing of data, and the start of a new wave of collaboration across the north east. Interested? If you want to attend, you can apply here. We’re looking for anyone who cares and is keen to make a difference. We're also keen to have people who can bring their skills and enthusiasm to make a difference, so if you’re a data scientist, data analyst, delivery manager, product manager, user researcher or business analyst working in the north east, we’d love you to join us for the event. We want the event to be representative and space is limited, so we’re running an application system for tickets.